Lipid Modification by Enzymes and Engineered Microbes covers the state-of-the art use of enzymes as natural biocatalysts to modify oils and discusses how microorganisms such as yeast can be specifically designed or modified. In the past ten years, the field of lipid modification has made significant progress, not only in the tools for the development of “designer” enzymes, but also in areas such as the metabolic engineering of microbes, the discovery of novel enzyme activities for lipid modification and in the development of reaction engineering/processes. 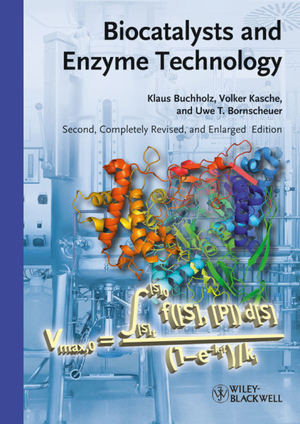 These advances are covered for the first time in this single-volume book edited by the leading enzyme scientist Uwe Bornscheuer with contributions by an international team of experts. 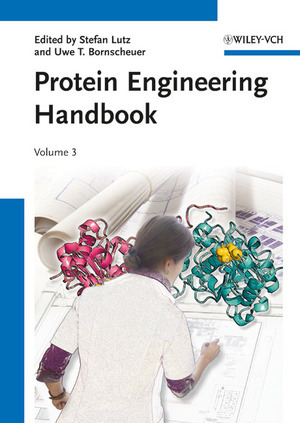 This volume details basic and advanced protocols for both stages of protein engineering: the library design phase and the identification of improved variants by screening and selection. Chapters focus on enzyme engineering using rational and semi-rational approaches. Written in the highly successful Methods in Molecular Biology series format, chapters include introductions to their respective topics, lists of the necessary materials and reagents, step-by-step, readily reproducible laboratory protocols, and tips on troubleshooting and avoiding known pitfalls. 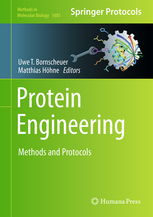 Authoritative and cutting-edge, Protein Engineering: Methods and Protocols aims to aid scientists in the planning and performance of their experiments. Unparalleled in size and scope, this new major reference integrates academic and industrial knowledge into a single resource, allowing for a unique overview of the entire field. Adopting a systematic and practice-oriented approach, and including a wide range of technical and methodological information, this highly accessible handbook is an invaluable 'toolbox' for any bioengineer. In two massive volumes, it covers the full spectrum of current concepts, methods and application areas. Angew. Chem. Int. Ed. "Overall, the second edition is up-to-date and can be recommended without hesitation for every reader interested in enzyme catalysis and applications." Biotechnol. J. "It was a real pleasure to carefully study this textbook step by step and I would in any event recommend it worldwide as a basic introductory course in enzyme engineering." The basic philosophy of the previous german edition is retained. 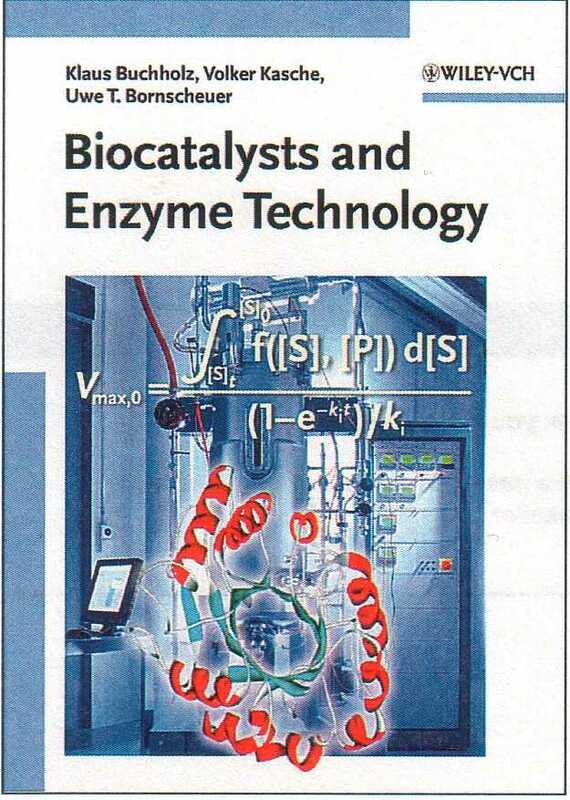 The contents have been revised and updated to account for the considerable development in enzyme technology/applied biocatalysis since the german edition was prepared some 10 years ago. For this aim also a new Chapter 3 has been added to account for the increasing importance of enzymes as biocatalysts in organic chemistry. Recent progress in proteoin design (by rational means and directed evolution) has been considerably expanded in Chapter 2. The last chapter has been amended with more detailed case studies to illustrate the problems that must be solved in the design of enzyme processes. An appendix on information retrieval using library and internet resources has been added. We thank Thomas Hapke (Subject Librarian for Chemical Engineering at the Libraty of the Technical University Hamburg-Harburg) for help in the preparation of this appendix. The chapter on enzymes for analytical purposes has been removed in this english edition as it now is outside the scope of this textbook. We thank Prof. Dr. L. Jaenicke and Prof. Dr. J.K.P. Weder for very constructive suggestions for corrections and improvements of the german edition. The authors of this edition thank Prof. Dr. Andreas Bommarius, Dr. Aurelio Hidalgo, Dr. Janne Kerovuo, Dr. Tanja Kummer, Dr. Dieter Krämer, Brian Morgan, Sven Pedersen, Poul Poulsen, Prof. dr. Peter Reilly, Dr. Klaus Sauber, Dr. Wilhelm Tischer, Dr. David Weiner for valuable discussions, revisions and suggestions while preparing this book. Biotechnology is the technical application of biological systems or parts thereof to provide products and services to meet human needs. It can, besides other techniques, contribute to do this in a sustainable manner. Mainly renewable raw materials and biological systems are used in biotechnological processes. They can therefore – and should – be performed practically without waste, as all by-products can be recycled. To develop the natural and engineering science fundamentals for the design of such processes is a challenge for biotechnology, a field that originated from the overlapping parts of biology, chemistry and process engineering. The education for a career in biotechnology consists, besides the basic knowledge of these fields, of additional biotechnological contents. The latter must provide an overview over the whole field and a deeper insight in different parts of biotechnology. The biotechnological production of various goods is done either in fermenters with living cells (technical microbiology), or with enzymes, isolated or in cells as biocatalysts. The latter has developed to a part of biotechnology known as enzyme technology or applied biocatalysis. 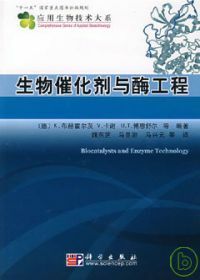 The aim of the present textbook is to provide a deeper insight in the fundamentals of enzyme technology and applied biocatalysis. It especially stresses the following interrrelationships: A thorough understanding of enzymes as biocatalysts requires the integration of natural science knowledge: biology, esperially biochemistry, cell and molecular biology; physico-chemical aspects of catalysis and molecular interactions in solutions, heterogeneous systems and interphase boundaries; the physics of mass transfer processes. The same applies for the interrelations between enzyme technology and chemical and process engineering, which are based on the above natural sciences. In less than a century since the start of industrial enzyme production, enzyme technology and its products have continuously gained increasing importance. For the industrial production of goods to meet demands in human need for everyday life, enzymes play an important – often hardly known role. Their application spans from the production of processed foods, such as bread, cheese, juice beer; pharmaceuticals; fine chemicals; to the processing of leather and textiles, and their application as process aids in detergents or environmental engineering. To meet the demand for new products, such as new or sterically pure pharmaceuticals and fine chemicals, is an important incentive for the further development of biocatalysts and enzyme technology. Of similar importance is the development of new sustainable production processes for existing products. This is covered in the introductory chapter 1. Enzymes as catalysts are of key importance in biotechnology, similar to the role of nucleic acids as carriers of genetic information. Their application as isolated catalysts justifies the detailed treatment of the fundamentals of enzymes as biocatalyts in chapter 2. They can be analyzed on a molecular level and their kinetics can be described by mathematics. This is essential for an analytical description and the rational design of enzyme processes. Enzymes can catalyse a reaction in both directions. This is applied in enzyme technology, in order to reach the desired endpoint of a reaction rapidly and with high product yield. The thermodynamics of the catalyzed reaction must also be considered, as well as the properties of the enzyme. The enzyme amount required for a given conversion of substrate per unit time must be calculated in order to estimate the enzyme cost and the economic feasability of the process. Therefore the quantitative treatment of biocatalysis is stressed in this chapter. When the enzyme costs are too high, they can be reduced by improving the production of enzymes. This is reviewed in Chapter 3 (4 in this book). In Chapter 4 (here 5) applied biocatalysis with free enzymes is covered based on examples of relevant enzyme processes. When the single use is economically unfavourable, the enzymes can be reused or used for continuous processes either in membrane reactors (Chapter 4, here Chapter 5) or by immobilization (Chapter 5 and 6, here 6 and 7). Chapter 5 covers the immobilisation of isolated enzymes in detail. In Chapter 6 this is done for microorganisms and cells, with special reference for environmental technology. In order to describe processes with immobilized biocatalysts analytically that is required for a rational process design, the coupling of reaction and diffusion in these systems must be considered. For such a characterization of immobilized biocatalysts methods developed previously for analogous biological and process engineering (heterogeneous catalysis) systems, can be used (Chapter 7, here 8). In Chapter 8 (here 9) reactors and process engineering techniques in enzyme technology are covered. In the last Chapter the analytical applications of free and immobilized enzymes is treated (not covered here). In each Chapter an introductory survey, exercises and references to more general literature and original papers, cited or covering the contents of the Chapter are given. The textbook addresses advanced and graduate students in Biology, Chemistry and Biochemical, Chemical and Process Engineering, as well as scientists in industry, research institutes and universities. It should provide a solid foundation that covers all relevant aspects for research and development in Applied Biocatalysis/Enzyme Technology. They are not of equal importance in all cases. Therefore a selective use of the book, depending on the individual requirements may be suitable. In addition to a balanced methodological basis, we have tried to present extensive data and examples of new processes, in order to stress the relevance for the industrial practice. From our point of view it is also important to stress the interactions, which exist beyond the scientific and engineering context with our society and environment. The importance and necessity of these interactions for a sustainable development has been realized in the last two decades and has resulted in new economic and political boundary conditions for scientific and engineering development. Problems, such as the occurence of allergy due to enzymes during the first use of enzymes in detergents, and the newly introduced use of enzymes produced in recombinant organisms, directly illustrate their influence on enzyme technology/applied biocatalysis. An integrated process design must therefore also consider its environmental impact, from the supply and efficient use of raw materials to the minimization and recycling of by-products and waste. Political boundary conditions derived from the sustainability concept, expressed in laws and other regulations, necessitates their consideration in research and development. The design of sustainable processes is therefore an important challenge also for applied biocatalysis/enzyme technology. Ethical aspects must also be considered when gene technology is applied, as it is increasingly done in the production of technical and pharmaceutical enzymes. The manifold interactions between research and development and the economic and political boundary conditions, must be considered in every application of natural and engineering sciences. This must be done in an early phase of the development, with evaluation and selection of the best of alternative production processes to meet various human needs as is illustrated in the following scheme. This book has been developed from our lectures. We thank all those who gaveus valuable recommendations in order to improve it. For their help during the preparation of the manuscript and the drawings we thank Dipl.Ing. Klaus Gollembiewsky, Dr. Lieker, Dr. Noll-Borchers and Dipl. Chem. Andre Rieks. Angew. Chem. Int. Ed., ChemBioChem, Eng- Life Sci. Due to a major problem during the creation of the camera-ready version of the 2nd edition, the index of the printed book refers to wrong pages! The correct index can be downloaded here. Over the decade, hydrolases have become key parts of the growing area of industrial biotechnology (Schmid et al., 2001; Shoemaker et al., 2003). We hope that the first edition of Hydrolases in Organic Syntheses contributed to this success. It was a key reference in our laboratories and an excellent starting point for new researchers in the field. For this success to continue, we felt that we had to keep it current with new developments in the area – directed evolution and protein design, dynamic kinetic resolutions, and the use of structures to explain selectivity. Planning the 2nd edition presented a challenge – more than 900 publications in the area since 1999. We chose to focus on new areas, new insights, and new frontiers and not to focus on comprehensive lists of substrates. For this information, databases are more efficient than a book. We've added a new chapter on protein sources and optimization of biocatalyst performance for organic synthesis, an expanded chapter about directed evolution and a new chapter about catalytic promiscuity. In addition, we expanded sections dynamic kinetic resolution and immobilization and added new classes of hydrolases, such as haloalkane dehalogenases and organophosphorus hydrolases. In turn, we shortened some sections including a major shortening of the sections on lipid modification, which is of limited interest to organic chemists. These changes required a rearrangement of the book chapters. In addition, many sections contain minor updates. We sincerely hope that these changes will extend and enhance the usefulness of this book. Each traveller to a city seeks something different. One wants to see that special painting in the museum, another wants to drink the local beer, a third wants to meet a soulmate. Each organic chemist also seeks something different from the field of biocatalysis. One wants high enantioselectivity, another wants reaction under mild conditions, a third wants to scale up to an industrial scale. We hope this book can be a guide to organic chemists exploring the field of biocatalysis. Enzyme-catalyzed reactions, especially hydrolase-catalyzed reactions, have already solved hundreds of synthetic problems usually because of their high stereoselectivity. The organization is aimed at the chemist ? by reaction type and by different functional groups. This information should help organic chemists identify the best hydrolase for their synthetic problem. In addition, we suggest how to choose an appropriate solvent, acyl donor, immobilization technique and other practical details. We hope that learning how others solved synthetic problems will generate ideas that solve the next generation of problems. 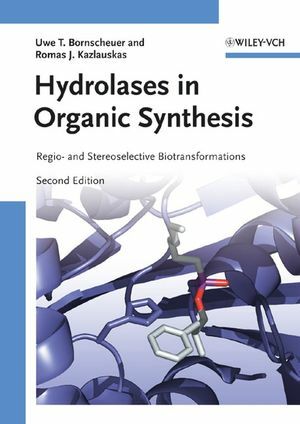 Although this book has more than 1 700 references, we might have missed important hydrolase-catalyzed reactions. The choices on what to include usually reflect our own research interests, but were sometimes arbitrary or even inadvertent. Fritz Theil, Angew. Chem. : German and English. Nick Turner, Org. Proc. Res. Develop. : English. Industrial-age society has been -- or at least is being -- transformed into an information-age society. The plethora of information now available down to molecular ‘genomic‘ levels still continues to grow. With justification those working in such areas feel part of a biosociety; and professional organizations have responded accordingly. For instance, in the 1970s our own Deutsche Gesellschaft für Fettwissenschaft (DGF) created a Division of Biochemistry and Biotechnology which for some time now has been co-chaired by Uwe Bornscheuer. Uwe Bornscheuer is an authoritative colleague in the field of enzyme technology. Together with Romas Kaslauskas he wrote a highly acclaimed book on Hydrolases in Organic Synthesis published by Wiley-VCH. The present book "Enzymes in Lipid Modification" is also a publication by Wiley-VCH, and I am pleased that this renowned publishing house is becoming increasingly engaged in lipids, fats and oils. By launching the new monthly European Journal of Lipid Science and Technology in January 2000, indeed, DGF and Wiley-VCH are already a successful collaboration. Scientific interest in enzymes acting on lipids has a long history. The first focus was on lipases. Then phospholipases came to the fore, and lately lipoxygenases and monooxygenases have garnered attention. I wish to thank Uwe Bornscheuer for gathering acknowledged experts to write succinct chapters pertaining to these groups of enzymes. Their informative and critical reviews discuss how to use and improve properties of proteins such as reversability, chirality and stability in the synthesis of products. The aim and scope of the book is thus truly biotechnological. DGF happily cooperates in this endeavor! In the last two decades, our understanding of biocatalysts has increased considerably, as have the number of applications of biocatalysts for synthesis. The success of biocatalysts stems from better availability of enzymes - mainly due to the vast progress in genetic engineering -, advances in bioreaction engineering, increasing demands for environmentally-friendly processes, which makes a biocatalytic route more attractive and often more cost-effective than a chemical one. Most of the approximately 90 million metric tonnes of fats and oils produced worldwide are used in human nutrition. However, not all fats and oils obtained from animals or plants are necessarily ideal for the human diet, e.g. high contents of saturated fatty acids can cause cardiovascular diseases. Beside physico-chemical modifications and the introduction of genetically engineered plants producing ‚designer-oils‘, biocatalysts offer an alternative way to convert lipids into suitable edible products as well as their conversion into ‚basic-chemicals‘ useful for, e.g. synthesis of detergents or emulsifiers. From all enzymes available in nature, hydrolases are probably most easy-to-use, because they do not require cofactors and are usually rather stable under process conditions. This holds especially true for lipases and phospholipases. A large number of lipases are commercially available and several industrial processes use lipases. As lipids are the natural substrates of lipases, it is not surprising that most chapters in this book review their application in lipid modification, such as hydrolysis to produce free fatty acids, synthesis of partial glycerides, enrichment/isolation of polyunsaturated fatty acids, which are important for the human diet. Also covered are their cloning, expression and mutagenesis of lipases as well as attempts to understand the molecular basis for their specificity and stereoselectivity. In addition engineering aspects and the choice of suitable solvent system are addressed. Availability and applications of phospholipases are still less developed compared to lipases. The three chapters in this book allow the conclusion, that in the near future drawbacks like limited substrate range, stability under process conditions and difficult expression in suitable hosts will be overcome. Other enzymes frequently studied in lipid modification are lipoxygenases and P450-monooxygenases, which are reviewed in the remaining chapters. They are very attractive for organic synthesis, because they allow functionalization of fatty acids to generate, e.g., fine chemicals, flavors and emulsifiers such as sophoroselipids. 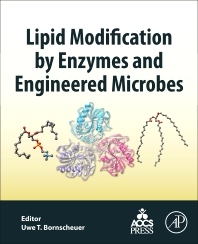 I am convinced that this book - reflecting the state-of-the-art of enzymatic lipid modification written by leading experts in their field - will provide the reader with guidelines how to select suitable enzymes and how to apply them efficiently. Print version sold out! Online version available here.